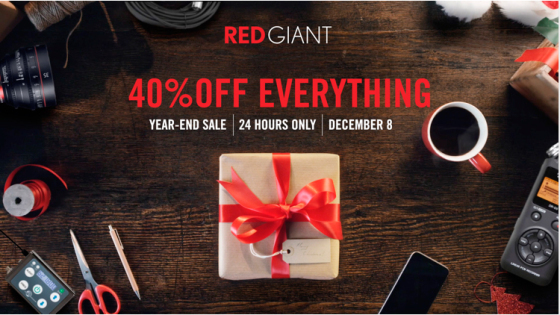 40% off everything in the redgiant.com store. Sale Starts: 12/8/15 – starting at 08:00 AM PST. 40% OFF EVERYTHING. REALLY. WE MEAN IT. How to Get 40% off: On the day of the sale, there will be a coupon code – it will be all over our site. You won’t be able to miss it. ACADEMIC BUYERS: If you are a student or faculty and want to buy from our academic store, please make sure to Pre-Qualify as an academic buyer before the sale, or you may miss out on the sale price. Reminder: These are just examples. EVERYTHING will be on sale at 40% off. If you have any questions, we are here for you. Please contact us at redgiant.com/support and we’ll help you out. 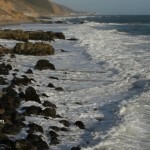 New Secrets of Video Production for Photographers workshops coming in 2011. 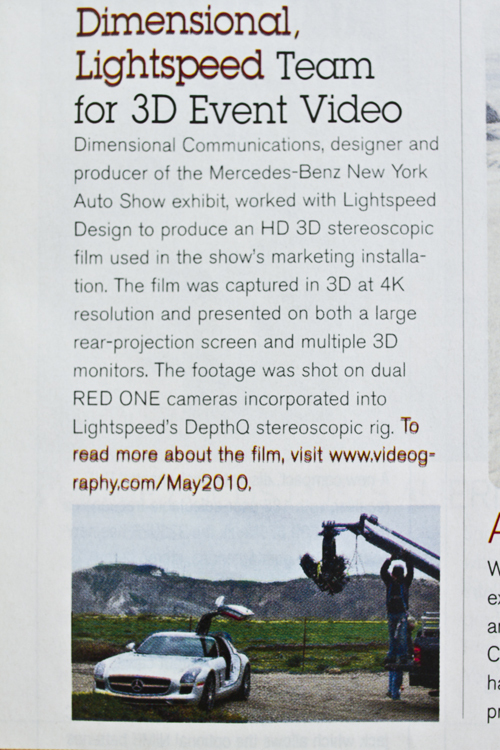 As 2010 draws to a close, I have found there is an even greater interest than ever in video production by photographers. More and more clients are requesting their photographers supply video along with still images. Photographers are also finding video an excellent way of promoting themselves and their work. Amateur photographers are also enjoying capturing motion and sound. The interest in my workshops has grown as well, so I am preparing a new series of workshops that give photographers a more hands-on experience. What better way of learning than being guided through the video production process while being involved with creating video content yourself? Michael P. Randazzo says “I enjoyed your class. There are people who learn and teach, like they book learn but you can tell them right away that they never actually did it. I don’t enjoy that as much as seeing someone who does it for a living and as such can teach things you can’t learn from a book. That’s you. It’s easy to tell you have done this and know the really important things about video production. Where do I think photography is going in the next five years? I just got back from being on an advisory panel at Brooks, Institute of Photography that addressed just this issue. I was asked to prepare a 5 minute presentation about my current role in the industry and where I think the industry is moving. Below is pretty much the text from my presentation. Before I forget, I want to say what a pleasure it was to be on a panel with so many thoughtful and articulate professionals that were so willing to give their considered opinions. A special shout out to Jeff Sedlik of the Plus Coalition, who’s incredible efforts are going to protect our rights as creators. You should all go to the plus site, http://www.useplus.com, to see find out how best to deal with the coming copyright reform. 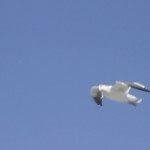 I am a professional photographer and I create advertising and editorial content in the form of still images and video. I have also been giving a series of seminars and workshops around the country called “The Secrets of Video Production for Photographers.” Plus, I instruct six and sixteen-week college classes in video production for photographers. And now for my vision of photography in the future. I think that photography is going to thrive and become a hybrid. It is going to thrive because we have become an image thirsty world. We take large gulps of visual content and have an appetite for an ever-increasing amount of new material. Photography, or I should say photographers, will become more of a hybrid than we already are. We already digitally process, manipulate and output our own content to a greater degree than ever before and we are now starting to include motion and sound. If you notice, both articles and printed ads, not only use photography, but now often have a “go to the web for more information” component. Here are just a few examples I was able to quickly find after being asked to be on the panel. 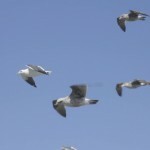 Since bandwidth is now fast and cheap, it is almost as easy to provide video on the web as still images. Personal electronic devices such as the personal computers, smart phones and smart pads are the entertainment norm for Generation Y. And along with that, comes a thirst for ways of communicating that grabs the attention of eyes that are now bombarded by content. Just think about the office worker of the past who besides a visit to the water cooler or occasionally flipping through a magazine, had no access to outside influences while working. Now it is the norm for that same worker to spend some part of his day surfing the web. TV commercials have gone from 60 seconds to fifteen seconds partly due to cost and partly from the short attention span of viewers. Content users realize this and are looking for the best ways of grabbing that viewer’s attention and what better way than movement and sound? While traveling the country speaking to photographers, in every city I experienced photographers telling me that clients are asking for video along with still images. Whether or not clients have a use for it right now, they feel the need to get it. I attribute this to things like the easy access to moving entertainment via the web and camera advertisements that show “professional like video” can easily be shot with just about any digital camera. The result of this thirst for video content in tandem with stills is lost jobs for photographers who cannot provide video or worse yet, lost clients, when skilled photographers who are not trained in video production make bad videos. That quick video favor can turn into a quick disaster. The video component to still photography assignments has happened much quicker than what we experienced with the conversion from analog to digital. As a photographer, if you are not prepared to do video, be prepared to lose more and more jobs to photographers who are prepared. The good news is everyone is right. It is easier now than ever before to create good video, technically. The bad news is it takes some new skills and changing how photographers tell the story from stills to video. Remember, video is a bunch of still images strung together, so photographers already have many of the skills needed for the basic visuals. How to manage that bunch of stills so they tell an interesting story is new to photographers. 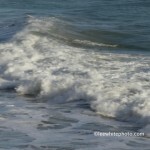 Photographers also face the issue of sound which they have not had to deal with in the past. The videos they are faced with are usually short form advertising or editorial videos which have different requirements than feature film production or news reporting taught in cinema classes. The crew make up is different and the focus on still and video creation together add certain unique challenges. But with the right training, all of these challenges can be met and can enhance the abilities and profits of the new hybrid photographer. Photography is going to evolve. Just as it added color to B&W, then digital to analog, it is adding motion and sound to still photography assignments. There are times when it is better to double up a Final Cut Pro filter rather than trying to push just one too far. Next time you are faced with a green screen project and are using one of the Final Cut Pro chroma key filters try doubling the filter once you get close to the final result you want. It is easy to do because you don’t have to start fresh with the filter rather duplicate the original filter setting to refine the effect even more. In Final Cut Pro it is easy do duplicate a filter by simply dragging and dropping the adjusted filter onto the same clip in the timeline. Nikon announces a 1080p Full HD D7000. Finally, after several years of devoted Nikon users telling me that they want to get into video but were waiting for a Nikon HDSLR with decent video capabilities. And I understand the desire not to switch makers when you have an investment in lenses and dedicated accessories. Well, the wait is possibly over. 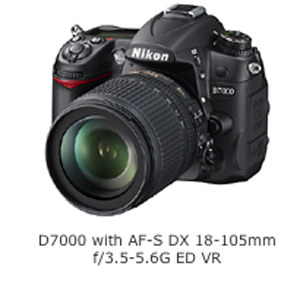 The Nikon D7000 is said to start shipping in October and has some very attractive features. First off, is the Full HD 1080p at 24fps which is a step up from the 720p @ 24 fps of past Nikon models. Nikon also expanded the 720p modes to include 30fps and 25fps as well as the 24fps of previous models. An important note here is that the 24 fps is really 23.98fps and 30fps is really 29.97, which is more compatible with NTSC standards as is the 25fps with the PAL standards. I am disappointed that Nikon did not include 720p at 60fps. I love the way 60fps can capture action and I often do a speed change with 60fps to create a smooth semi-slow motion look. Something that could be more exciting than the 1080p to a number of HDSLR video users and might be a partial Canon killer is the continuous auto focus in video mode. I hear photographers continually complain that they are having problems keeping moving subjects in focus. 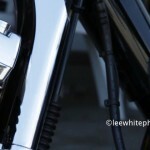 The wonderful cinematic shallow depth of field that the HDLSRs are famed for is also the bane of many photographers. It takes an experienced focus puller to handle a moving subject especially when the moves are not choreographed in advance. Most photographers are not doing projects that allow for extensive shot blocking and rehearsals plus few have a practiced crewmember that can be dedicated to just pulling focus. 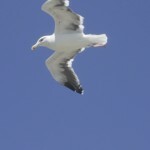 I have not had the chance to see how well the auto focus works or how controllable it is. But, if it works decently at all, I can see several categories of video content creators switching to the D7000 just for the auto focus. If you’re a Nikon user and have been waiting to jump into video, now might be the time. For more on the D7000 click the image. Denver Video Workshop Loads of Fun! My Saturday’s workshop was a fun and educational experience. In the morning, there were a few hours of chatting about video in general and the new skill set needed to estimate and shoot video along with stills. After a quick lunch provided by APA-LA, there was a simple combination photo/video lighting demonstration followed by a hands-on follow focus experience by each attendee. I then set up a simple commercial spot production and shot clips to be edited into a commercial. Following the production, I delved into putting the clips together in Final Cut Studio to finish the commercial. First, I showed them how to transcode the HDSLR files into a more edit friendly format of ProRes422. 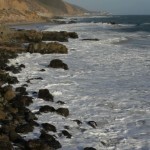 You can skip this step with video clips from video cameras like the Panasonic. I brought the clips into Final Cut Pro to edit them into a sequence and did some color correction. I then showed a couple of output options. Following all that, we had a chance to explore the Sonicfire Pro application and how it creates custom length royalty-free music. I make sure every attendee to either my Thursday evening presentation or Saturday workshop gets a copy of the Sonicfire Pro application and five free multi-layered music tracks they can use commercially. 5d with 44.1 kHz vs. 7d with 48 kHz sound? What’s the problem? First, what is being referred to is the sample rate or how many times a second sound is being measured. Without getting too deep into the science behind sound, to have good sound it should be sampled at least at 40 kHz to capture the higher frequencies. So the 5d with its 44.1 kHz is sampling at a rate that is high enough to capture the higher frequencies and is considered CD quality often used for music. Digital video cameras generally use 48 kHz to capture sound, as does the 7d, which is considered one of the professional sample rates. A warning here is that some DV cameras that offer four tracks of 32 kHz which can lead to compromised sound quality. To convert 5d’s 44.1 kHz sound to the DV standard of 48 kHz is easy to do. You will actually do it when converting the 5d H264 files to a more friendly format for FCP editing like one of the Apple ProRes422 formats. If you are using Compressor from the Final Cut Studio suite, simply make sure to go to the inspector panel and select sound settings. 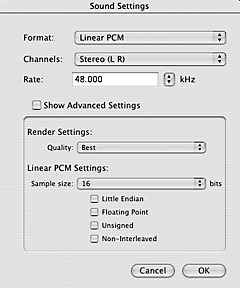 The settings should be the following: Format: Linear PCM, Channels Stereo (L,R), Rate: 48,000 kHz, Render Settings: Quality Best, Linear PCM Sample size 16 bit. This will bring the audio up to the correct sample rate without distorting the sound. There has been an explosion of interest in video both by clients and photographers in the last year. Fueled by technology that is making video easier to produce and distribute, a vast new market is being created for photographers with the right skills. Lee White’s evening presentation including videos will go over the steps photographers need to know in creating video and photography in tandem. FREE SOFTWARE: SmartSound will give each attendee a free copy of their Sonicfire Pro 5 software along with free royalty-free music. There will be a copy of Apple’s Final Cut Studio raffled off. More giveaways from LaCie and Hoodman. The latest equipment and software by Apple, Panasonic, Zeiss, Redrock Micro, SmartSound, Beachtek, LaCie and Hoodman among others will be at the event for photographers to see. Join the APA and your admission is free! Now is the point in time when photography and video come together. In the last year, the idea of photographers producing video has exploded and photographers are now gearing up to take advantage of this interest. As advertisers and magazines turn to video on the web, cable and mobile devices to get out their message, there are more opportunities than ever for you to do video in tandem with your photography to capture new clients and sell video services to existing clients. Producing video creates a fundamental change in your workflow, so you need new tools and techniques to take the step from photography to video. You need to learn what the new technologies mean to you from a photographer’s point of view. This is why Lee White has created an intensive all day workshop to help guide you into video. This workshop will go in depth about each step of video production so you can start producing your own video. The latest equipment and software by Apple, Panasonic, Zeiss, Redrock Micro, SmartSound, Beachtek, LaCie and Hoodman will be demonstrated. Cost: $149.95 per person, APA members will receive a 10% discount refund* on confirmation of valid membership. *Please put membership number in special instructions to seller and the discount refund will be given at the workshop as the APA member enters. Cost: Early registration until Jan. 8 $99.95 regular registration after Jan. 8 $129.95 APA members 10% discount. *Please put APA membership number in special instructions to seller, discount refund will be given at the workshop as the APA member enters. Cost: Early registration until Jan. 22 $129.95 regular registration after Jan. 22 $149.95 per person, APA members will receive a 10% discount refund* on confirmation of valid membership. Now that the Canon 7d is out, can new video from Nikon and Panasonic be far behind? 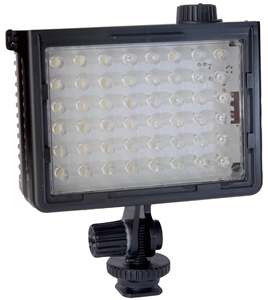 Some more interesting new products are out to help photographers move into doing short form video. One of the problems that photographers got away from long ago was the need to use constant lights with the advent of strobes. The constant lights were hot both to handle and on the subject, it took a lot of wattage to get a decent exposure, and were 3200 K so had to be gelled to balance with daylight which brought down the power even more. Well, as wonderful as strobes are and I’m a big advocate of using them whenever possible except for a very few highly specialized stop motion systems, they are useless for video. Zeiss continues to grow their line of Canon mount manual focus lenses that are especially suited for the DSLRs with video capabilities. The latest is the ZEISS Distagon T* 2/28 ZE which is a moderate wide-angle lens designed for full-frame (D)SLR cameras, delivering a 74-degree field of view. Like the other Zeiss ZE lenses, it incorporates a CPU and data contacts for communication with the camera body and long focus pull. 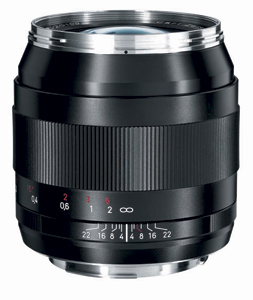 This lens is meant to be used on the Canon cameras such as the 5d Mark II and the new 7d. As I have mentioned before, Zeiss already has a line of Nikon lenses for video capable DSLRs. Canon 7d the new DSLR with expanded video capabilities; I just received one of the first production Canon 7d cameras in the US. It probably comes as no surprise to most of my clients and professional friends, since I have been shooting tandem stills and video in my projects for a decade now, that I would be one of the first to get this camera. In fact if you look back a few blog entries, you will find I announce the 7d just a few hours after Canon officially announced it in Sweden in the middle of our night. Why Sweden? I have no idea. I like Sweden; I have shot in Sweden and found it a beautiful and welcoming country. Since many of my projects include video as well as stills, a DSLR with good video capabilities was something I am very interested in. Yes, I shot with the Canon 5d MarkII and found it somewhat lacking in a few critical areas. Mainly it was restricted to the one HD format of 1080p (progressive) at a true 30FPS, which is a non-standard frame rate for anything. Plus the sound is not only automatic gain controlled but also recorded in 44,100 kHz, which is CD quality instead of 48,000 kHz, which is digital video quality. 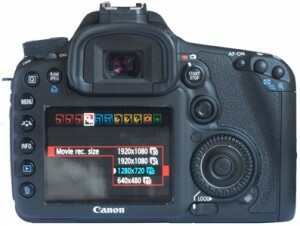 The canon 7d has taken care of the format issues by giving us five HD formats – Full HD in1080p at 23.976, 1080p at 25 and 1080p at 29.97, HD in 720p at 59.94 and 50, all of which are standards for NTSC and PAL, see one of the images below. The audio is still automatic gain control but has been bumped up to a DV standard of 48,000 kHz in linear PCM. At this point, I should probably bring up the chip size which is the smaller 22.3 x 14.9 AFS-C which some might think is not the direction to be going in but I find it a positive move. This is near the same size as 35mm movie film and so the look is very similar. One of the problems I found shooting with the Mark II was the depth of field at times was so shallow that even trained actors would shift slightly and end up out of focus on close-ups. Remember the auto focus is virtually non-existent shooting video with these cameras; you need to manually pull focus if you are tracking focus. The controls on the camera body have changed as well. The on and off switch has moved to just below the mode dial and there is just a lock switch where the on, off and lock used to be. I guess this prevents one from turning the camera off when trying to unlock the settings. There is now a dedicated liveview shooting button that also turns on and off the video recording. The print button has the added feature of being a one touch Raw-Jpeg button. Another completely new button is the Quick Menu button that gives you quick menu in the LCD to change shooting functions. Enough tech stuff; what about shooting with the 7d and the images? I was looking forward to trying one of the new Zeiss prime lenses out with the first outing with the 7d but no joy there. I ended up using my trusted Canon EF 24-105 mm f/4 lens but remember the smaller sensor creates a 1.6 magnification. A side note: you can do a decent job of zooming and short follow focus with this lens if you give yourself a bit room to start as the lens seems to jerk a little at the beginning. I wanted to test the contrast range with the 7d considering the 5d has been noted for crushing the blacks so I picked a friend’s gloss black and chrome classic Harley-Davidson (see the video test below) for a dramatic subject. The 7d does show a real time histogram with livepicture in the still mode, but there is no realtime histogram in the video mode. After shooting a bit of footage, I took a look at its histogram and there still appears to be some crushing of the blacks although the highlights seem to have very full gradations and there is good rendition through to the lower values. This is a very unsophiscated real world test but I’m not sure how valuable shooting color charts are either. 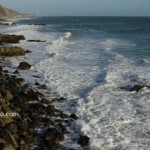 New Canon 7d camera used by Los Angeles photographer Lee White to shoot video along California coast.